To refresh, have fun and relax with family nothing better than our Aquatic Area. It consists of 3 pools including: a panoramic heated pool of 100m ², a playful paddling pool with interactive games for toddlers, as well as a double spirale water slide the "Anaconda" of 35 meters long, to delight the whole family ! In addition to our facilities, we propose aquatic activities such as: Aquagym and Fitness classes in a friendly and stimulating atmosphere, a slide contest as well as sports games and tournaments! 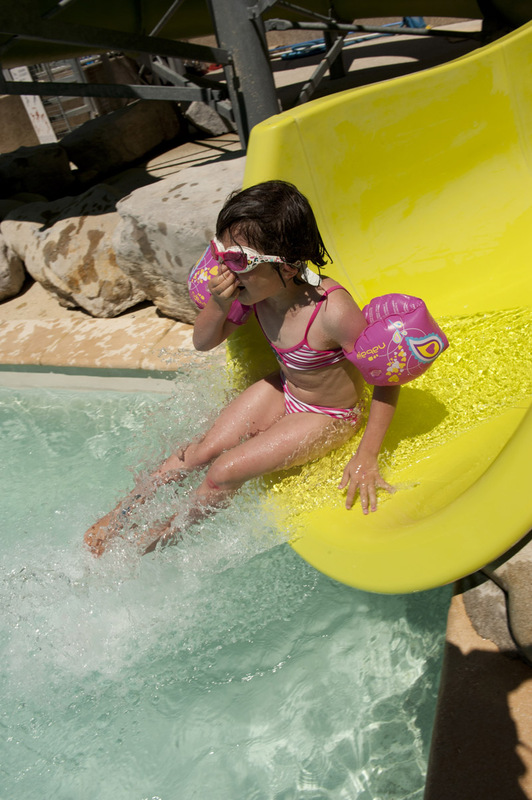 This is what we call happiness in our 4-star Campsite Ardèche WaterSlide!